A homeowner’s insurance policy is a necessity when purchasing a home. Your lender will require you to have a policy that covers a certain amount of liability in the event there is damage to the home. Most lenders will allow the insurance company to add their fees to your monthly mortgage payment. Here are some basic points you’ll need to know when selecting homeowner’s insurance with your upcoming home purchase. Coverage exclusions: Most homeowner’s insurance policies do not cover flood or earthquake damage as a standard item. You may need to buy these types of coverage separately. Other exclusions include wear and tear, damages caused over time, and other factors that can be considered general upkeep and maintenance items. Dollar limitations on claims: Even if you are covered for a risk, there may be a limit on how much the insurer will pay. For example, many policies limit the amount paid for stolen jewelry or firearms unless they are separately insured. If additional coverage is needed, a personal articles policy can be purchased which will insure the scheduled items based on their full appraised value. Replacement cost: If your home is destroyed, you’ll receive money to replace it only to the maximum amount of your coverage, so be sure your insured total is sufficient. For instance, if your home is insured for $250,000 and it costs $280,000 to replace it, you’ll still receive only $250,000. 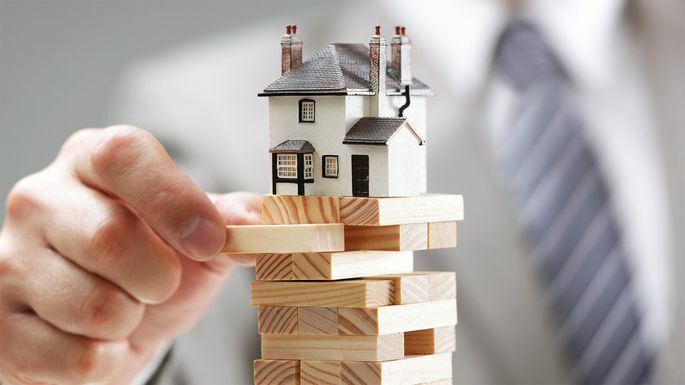 Also, take note that your insurance coverage may include a clause that states the policy will not fully cover the cost of damage due to a covered occurrence unless your insurance is equal to at least 80% of the house’s total replacement value. Prepare for What the Future May Bring: Your home and neighborhood may evolve over time. Make sure your homeowners insurance evolves too. Keep your insurance company informed about any changes that may affect your coverage, such as moving to a new residence, changes in occupancy or ownership, remodeling or making improvements to your current home, adding a fire or security system, purchasing items – including computers, jewelry and furs – that might exceed your basic coverage, and changes in inflation or building costs in your area, which may affect the cost to rebuild your home. Make an effort to review your policy with your insurance company on an annual basis. In addition to the possibility that your needs may change, the insurance industry is constantly adjusting, and as such features and benefits of your policy should be reviewed. Written in cooperation with Chris Hill, Gary Charlon State Farm, Ridgecrest CA. Have more questions? Give me a call Clint Freeman, at (760) 382-1082, and let’s discuss!